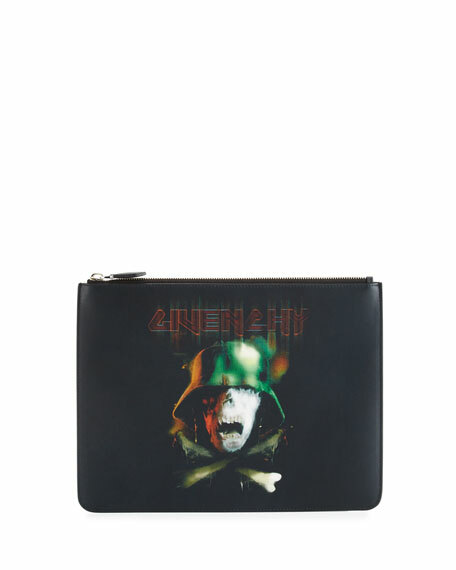 Givenchy calf leather pouch with blurred logo and army skull graphic. 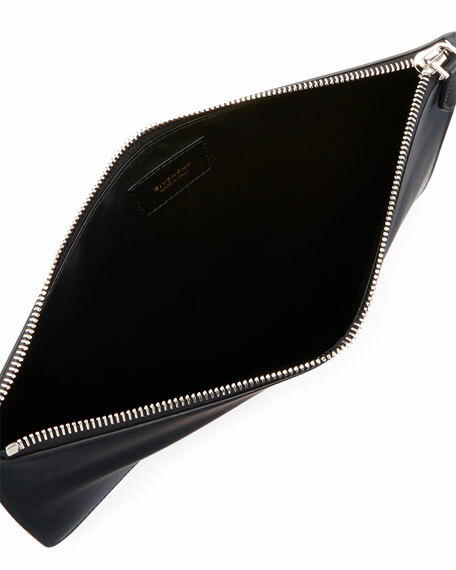 Inside, leather lining; logo-embossed patch. For in-store inquiries, use sku #1852441.